Lake Nokomis Park	One of three sailing lakes in the Minneapolis park system that offers many recreational opportunities. A free parking lot is available. Restaurant: Sandcastle Well is located at the intersection of East Lake Nokomis Parkway and East 50th Street just north of 50th Street Beach. 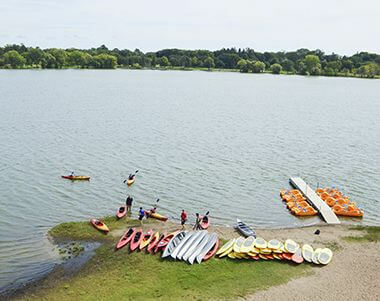 Named Best Place to Get Away from it All Without Leaving Town – Canoeing on Lake Nokomis in City Pages’ ”Best of the Twin Cities”. The playground offers kids ages 5-12 a unique play experience as they navigate arches and bridges that connect in a spherical layout. The equipment features an intersecting tangle of half-circles, nets, hoops, balance bobbers and slides, designed to help children develop balance, coordination, upper-body strength and agility. In addition, children practice planning skills since the play is undirected and unconstructed. Canoe/Kayak Storage Rack Permit: An annual permit allows you to store your canoe or kayak. View canoe/kayak permit details. Sailboat Buoy Permit: An annual permit allows you to store your sailboat on the lake. View sailboat buoy permit details. Name: The lake was named for the grandmother of Hiawatha in Henry Wadsworth Longfellow’s epic poem The Song of Hiawatha. The lake was known as Lake Amelia from 1819 until it was renamed on December 5, 1910. The lake was originally named for the daughter of Captain George Gooding. The name change was proposed in 1909 by the Hiawatha Improvement Association, an organization of neighborhood residents. Acquisition and Development The change in the name of the lake in 1910 was appropriate. Naming the lake for a character in Longfellow’s poem, which had made Minnehaha Falls known around the world, was fitting given that the lake’s only role in early park thinking was as a reservoir to ensure an impressive flow over the famous falls. 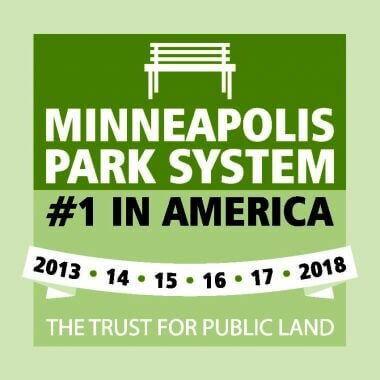 One of the first mentions of the lake in park board proceedings was December 7, 1891, the day the board designated for acquisition the land for Minnehaha Boulevard from Lyndale Avenue to Minnehaha Falls, crossing Minnehaha Creek between Lake Amelia (Nokomis) and Rice Lake (Hiawatha). The board discussed at that time controlling the flow of the creek to ensure there would be water over Minnehaha Falls the next summer when the city would host the Republican Party’s national convention. Getting the convention for Minneapolis was a huge coup for the city; it was the first national political convention held in the “west,” and provided the city a chance to show off its heralded new park system. In early 1892 Charles Loring, who had been the first president of the park board from 1883 to 1890, wrote that he hoped the board would secure Lake Amelia as a reservoir. “I have given the subject a great deal of thought the past two months,” he wrote to William Folwell, “and I feel sure that storing water there is the only way we can secure a flow over the Minnehaha Falls…By holding the water in Lake Amelia and only permitting a flow of say eight hours a day I believe we could keep the falls in very respectable condition.” He went on to write that he thought the “parties interested in Mud Lake (also called Rice Lake, and later Lake Hiawatha) would be glad to pay the expense of turning the creek directly into Lake Amelia as they wish to drain their property.” Board action pertaining to the lake itself is a bit confusing from there. In March 1892 the board authorized superintendent of parks William Berry to deepen the channel from Lake Amelia to the creek. Under what authority it acted is unclear as the board owned neither the shore of Lake Nokomis, nor the creek bed east of the point the creek passed through the newly acquired property for Minnehaha Boulevard. At the same time, however, William Folwell urged the board to acquire the creek and its banks from that point east to the falls, and the board did approve a survey and plat of the creek to the east. The board didn’t acquire the creek bed east of Lake Nokomis until 1923. Despite the fact it didn’t own the land, the board also approved the construction of a dam at the outlet of Minnehaha Creek from Rice Lake (Hiawatha) to control the flow of the creek. There is no record that the dam was ever built. The problem of maintaining a flow of water over the falls remained an issue. Charles Loring wrote in 1900 that when he took President Benjamin Harrison to see the falls Harrison remarked that “Minnehaha Falls would undoubtedly be very beautiful if there was water in the stream.” While concerns over keeping “water in the stream” continued to dominate thinking on Lake Amelia, Loring also noted in 1893 that park board control of the lake would prevent contamination of the lake by runoff from nearby barns and stables. In 1894 the park board voted for the first time to examine the shores of Lake Amelia itself to determine the land needed for a parkway around the lake and to control the waters of the lake. In 1895 the board voted to acquire Lake Amelia, but took no further action to add the lake to the park system. The inaction was due primarily to the difficult financial circumstances of the board during the national economic depression following the Panic of 1893. Dreams of a larger park system were kept alive through difficult times largely by William Folwell, who was president of the board during most of the 1890s. In the 1899 annual report Folwell wrote that incorporating Bde Maka Ska, Cedar Lake and Lake Amelia in the “lake parkway system” were actions that “at all times should interest the board.” Landscape architect Warren Manning added his voice in favor of the acquisition of Lake Amelia and Rice Lake as parks when he reviewed the park system for the park board in 1899. With the completion of Minnehaha Boulevard to Minnehaha Falls in 1899, and a recovering economy, the board became more serious about adding Lake Nokomis to the park system, prompting a Minneapolis newspaper to report in a headline on August 19, 1900, “Park Board flirts with Lake Amelia.” That flirtation prompted several property owners to offer to donate land for a parkway around the lake in 1901. With those offers in hand the park board took the unusual step of discussing its plans to acquire the lake with the board of health to ensure there would be no objections. In late 1901, when the board discovered that after years of frugality and paying down the debt on its earlier land purchases with city bonds it had the capacity to issue more bonds for land acquisitions, it requested the issuance of bonds to purchase the west bank of the Mississippi River, the west shore of Bde Maka Ska, and Lake Amelia. The river banks were promptly purchased in early 1902 with new bond funds, but the lake shores proved a bigger challenge. For the next five years the board continued to express its desire to acquire the lake and some landowners continued to offer a strip of lake shore for a parkway. When Theodore Wirth was hired in 1906 as the new superintendent of parks, he was not enthusiastic about acquiring another shore drive. “For scenery alone the lake is not needed,” he wrote in the 1906 annual report. The acquisition would make sense, he added, if it were to be used as a reservoir for the falls, or if enough additional land were acquired to make a picnic and recreation ground around the lake. It wasn’t until the summer of 1907 that the board officially designated the land around the lake for acquisition and appointed appraisers to determine the value of the land. When landowners in the area agreed to have their land assessed for the cost of buying the land—we don’t know what happened to the offers to donate land—the board agreed in July 1908 to pay $63,500 for 409 acres of property, including nearly 300 acres of water. Little was done at first to develop the new property into a park, although a rudimentary bath house and some playground equipment were placed at the lake in 1909. In the 1910 annual report Wirth presented his plan for the improvement of the lake. It was the most ambitious lake-shaping plan in the history of Minneapolis parks. Perhaps influenced by the success of reshaping the shores of Lake of the Isles by dredging and filling, Wirth proposed a radical alteration of the landscape around Lake Nokomis. He would reduce the water area of the lake from 300 acres to 200 acres and deepen the lake to an average depth of fifteen feet from its natural average depth of five to twelve feet. Wirth also proposed creating an island near the northwest shore of the lake to add visual interest. At the same time, Wirth recommended straightening Minnehaha Creek to reduce the amount of water needed to provide sufficient flow over Minnehaha Falls and diverting the creek into Lake Nokomis. He also recommended eventually filling Rice Lake (Hiawatha), noting that a dry meadow there would look better than that swampy lake. While Wirth’s basic plan to reshape the lake was eventually implemented, plans for an island in the lake, the diversion of the creek, and the filling of Lake Hiawatha were all scrapped. Wirth’s first plan for the lake included a swimming beach on the east shore, which was later changed to the west shore so it was closer to the Cedar Avenue street car stop. Wirth later recounted that the park board had considered acquiring Lake Hiawatha (then Rice Lake) at the same time it acquired Lake Nokomis, but the additional estimated cost of $25,000 caused the board to postpone that purchase, assuming it could acquire the additional swamp whenever it wanted. When the park board did buy Lake Hiawatha, fifteen years later, it paid more than $500,000 for what was still a swamp, but a much more attractive swamp with a park around Lake Nokomis nearby. In fairness, the half million dollars eventually paid for Lake Hiawatha, included more land to accommodate a golf course and the entire creek bed of Minnehaha Creek from Hiawatha to Minnehaha Park as well as the lake. Even with Wirth’s plan for the lake in hand, Lake Nokomis was well down on the board’s list of priorities at the time. More pressing projects were connecting Bde Maka Ska, Lake of the Isles and Cedar Lake with canals, creating a parkway around Cedar Lake, building a parkway north and east from Wirth Park to Camden Park and then east across the river to Columbia Park, building a bath house at Bde Maka Ska, adding playgrounds in “congested” parts of the city, and developing athletic fields at The Parade. Although the park board did move half of the Bde Maka Ska bath house to Lake Nokomis in 1911 when a new bath house was being built at Bde Maka Ska (the other half of the Bde Maka Ska bath house was moved to Wirth Lake), it also rented the pastureland it owned on the southwest corner of Lake Nokomis to a farmer for $25 for the summer of 1911. It wasn’t until 1914 that work began in earnest at Lake Nokomis when the first dredges set to work scooping muck form the lake bottom to deposit in the northwest corner of the park. The dredges worked nearly continuously for four years, completing the shaping of the lake in 1917. A total of 2.5 million cubic yards of earth were moved to reduce the water area from 300 acres to just over 200 acres and achieve an average depth of fifteen feet in the lake that remained. When dredging was done the park board allowed the fill to settle for five years before it began grading the area. Even with that wait, the fill continued to settle over the years and additional grading work was done through federal work relief programs in the 1930s. In the end the lake was on average somewhat deeper than planned because when the dredges found sand on the bottom of the lake, they dug deeper to collect that sand for the beach being created on the northwestern shore of the lake. 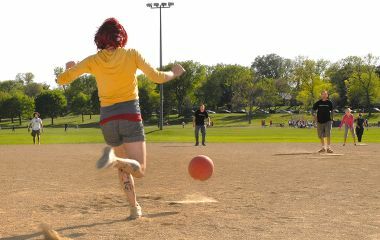 With the dredging completed, the park board proceeded with plans to build a new bath house at the Lake Nokomis beach. Construction of the bath house was begun in 1919 and finished in 1920. 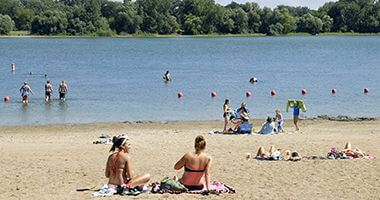 From the time it was built, Lake Nokomis surpassed Bde Maka Ska as the most popular swimming beach on city lakes. In 1924 attendance at the Lake Nokomis bath house was nearly triple the attendance at the Bde Maka Ska bath house. The finishing touches were put on the park in 1924 when walkways were laid out and the filled land northwest of the lake was prepared to serve as baseball and football fields. The final addition was an enormous water-toboggan slide at the beach that must have been a marvel in its day. The reshaping of Lake Nokomis was called by Wirth years later the biggest single piece of work ever undertaken by the park board. 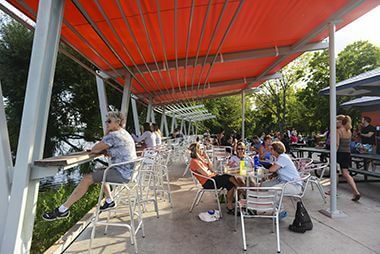 The lake that had once been envisaged as a reservoir for Minnehaha Falls was transformed into a navigable lake and a dry park at a cost of nearly $800,000. The land and lake had cost only $63,500 to purchase. Curiously, despite so much earth being moved to create a possible reservoir for Minnehaha Falls, Minnehaha Creek never was diverted into Lake Nokomis. By the time the last improvements were made to Lake Nokomis, the park board had finally acquired Rice Lake and Minnehaha Creek to the falls. Instead of creating a reservoir of either lake, in 1924 Theodore Wirth proposed digging a deep well near Longfellow Garden and creating a lagoon there to store water for the falls. In 1929 the park board began construction of a picnic shelter on the north shore and added a refectory to the west shore. Construction was completed in 1930, one of the park board’s last construction projects approved before the Great Depression. Very few improvements were made to any city parks from then until after World War II, except for work done by various federal work relief agencies. Even the installation of new playground equipment during those years, such as at Lake Nokomis in 1936, was done under the federal programs. Another federal project was the installation of a shore wall on a portion of the east shore of the lake. The last changes to the dimensions of the park around Lake Nokomis occurred in 1946 and 1947 when the park board sold a few lots, 0.8 acre, of land it owned east of the lake. The quality of the water in the lake became a concern for the first time in 1945 when the Minneapolis health department closed an inlet to the lake from Mother Lake to the southwest. A garbage dump at that lake was polluting the water that flowed into Nokomis. The level of Lake Nokomis dropped about a foot for a year until the health department allowed the inlet to be reopened after the dump was shut down. Low water plagued all city lakes in the 1950s, which led to a weed problem. Lake Nokomis was one of seven city lakes treated with sodium arsenite to control weed growth in the late 1950s. 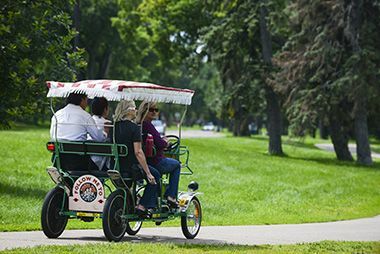 With a rapidly growing economy in the early 1960s, the park board began again to look at improvements to many city parks that had been neglected for decades. Lake Nokomis was among the park properties where projects were undertaken to address years of “deferred maintenance.” Low areas in the park created by fill were refilled, the beach was rebuilt with more sand, and a shoreline wall built in the 1930s on the east shore was removed. The park board also initiated a study in 1963 to consider replacing the original bath house at the beach. The Lake Nokomis beach still led all city beaches in attendance. In 1966 the bath house at the beach was declared unsafe and a smaller bath house was built to replace it in 1967. The next year a new playlot was installed next to the beach. The next major construction project by the lake took place in 1977 as the park board neared the end of a major construction program that resulted in new recreation and community centers being built in more than 40 city parks. 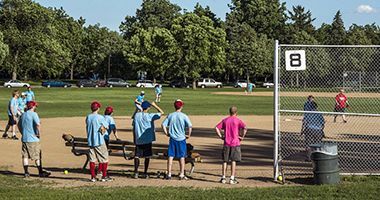 The park board had hoped to build a community center with a gym on the former site of Minnehaha School at East 51st Street and 35th Avenue South, but the neighborhood preferred to have the site used for housing and eventually a seven-story housing cooperative for senior citizens was built on the site. Rebuffed in its efforts to acquire the old school site for a new recreation center, as had been done at four other school board properties, the park board opted to build the community center on the hillside overlooking the lake’s northeastern shore. The new community center was completed in 1977, making Lake Nokomis the only city lake park with a community center. Concerns with water quality in all city lakes led to the first study of lake-water quality throughout the city in 1973. One of the problems identified with water quality was the elimination years earlier of the wetlands and marshes that had once existed on the shores of many city lakes. With increased development of surrounding property over the years—once a primary objective of park development—storm water runoff into the lakes became a concern. Not only were the watersheds of the lakes fully developed, but the marshes that had once filtered water into the lakes were long gone. In an effort to restore the capacity of surrounding land to filter storm water runoff, the park board looked to re-establish the wetlands and native grasses that once existed in places on lakeshores. That led to the creation of the Lake Nokomis wet prairie, eight acres of cattail marsh on the southwest bay of the lake in 1996. Similar wetland restoration projects were completed at Bde Maka Ska and Cedar Lake. Amelia Pond, at the center of the wet prairie, was dredged in 2011 to remove built-up sediment, part of regular maintenance of the pond. Work was also done on the shore line to remove invasive plant species. Partly due to a desire to restore native vegetation to some parkland, as well as to cut maintenance costs on manicured lawns, a portion of the hillside northeast of the lake was turned into the Nokomis Naturescape Garden, following a 1999 Nokomis vegetation concept plan. The project was conducted in conjunction with the Nokomis East Neighborhood Association. The garden features native grasses and wildflowers. Improvements were made to the Nokomis Community Center in 2002 and in 2010 upgrades improved energy-efficiency at the center. The beach house was also upgraded in 2006 and in 2009 new playground equipment was installed at the main beach. The entrance to the park from Minnehaha Avenue was re-landscaped in 2010 and in 2011 the floating swimming dock returned. In June 2012 the park board adopted emergency measures to prevent the spread of aquatic invasive species (AIS) to Minneapolis lakes. Since those measures were enacted, all boats entering Lake Nokomis on a public launch are required to pass an AIS inspection. Also in 2012 the park board began using scuba divers to remove aquatic invasive species inaccessible to mechanical harvesters. In 2013, a Nice Ride bicycle rental kiosk was installed near a parking lot on the north side of the park. Sturdy, three-speed, lime-green bikes are available to rent from the non-profit “bike share” company for short-term trips April through October each year, weather permitting. 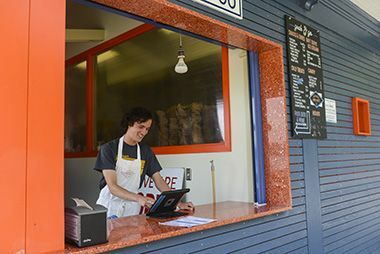 Also in 2013, Sandcastle, a concessions stand offering a variety of quick snacks, candy, ice cream, larger entrees and beer and wine, opened next to Lake Nokomis Main Beach. Trivia Theodore Wirth recommended in 1913 that the park police add officers in the fall. The reasons? Hunting and football. Additional officers were needed to help control rowdy crowds attending football games at North Commons and Longfellow Field. And officers were needed to patrol Glenwood (Wirth) Park and Lake Nokomis to prevent hunting in those parks. Park police confiscated 30 guns from hunters on park property in 1913. Before dredging began at Lake Nokomis, the park board tried to get the city of Richfield to agree to reroute Cedar Avenue to the west of the lake so a bridge wouldn’t be needed over the water. At that time the boundary between Minneapolis and Richfield was at 54th Street and part of the lake was in Richfield. At first the Richfield city council agreed, but in 1914 decided Cedar Avenue should not be moved. That section of Richfield was annexed by Minneapolis in 1926. Additional Sources The correspondence of Charles Loring to William Folwell is from William Watts Folwell and Family Papers, Minnesota Historical Society, St. Paul Theodore Wirth, Minneapolis Park System 1883-1944: Retrospective Glimpses into the History of the Board of Park Commissioners of Minneapolis, Minnesota and the City’s ark, Parkway and Playground System, Minneapolis, 1945. History through 2008 written by David C. Smith, with updates from 2009 to present written by MPRB. 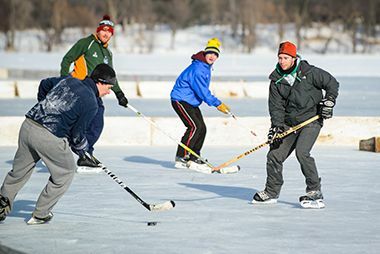 Lake Nokomis Park offers outdoor programming year-round with pond hockey in the winter. Rent a specialty bike or boat at Wheel Fun Rentals on the lake's main beach. 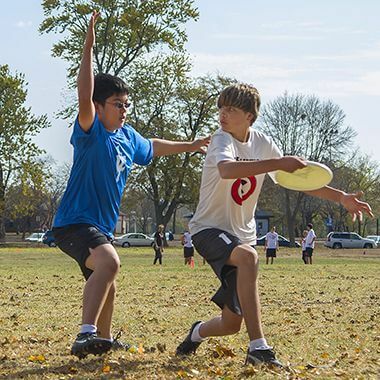 Sign up for one of our many year-round youth and adults sports leagues. 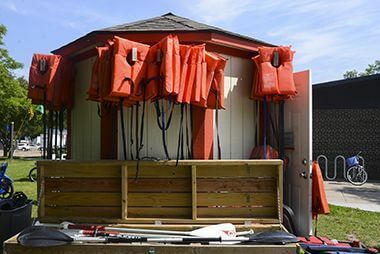 Boat and Canoe Launch, Canoe Rack, and Sailboat Buoys are located on west side of lake just south of Main Beach. 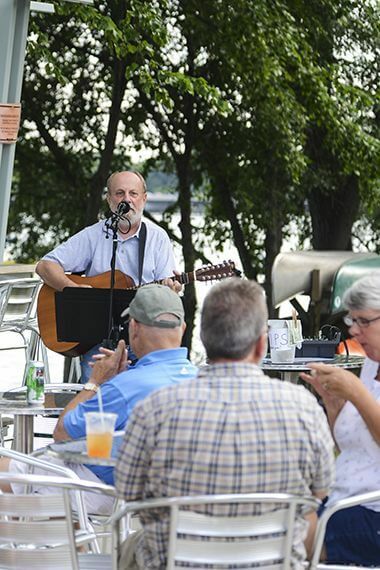 Sandcastle offers fresh, local food at moderate prices. 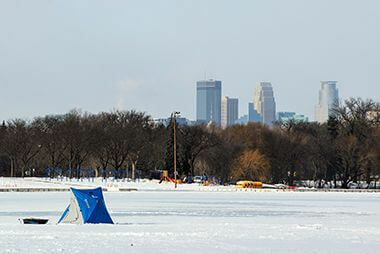 Minneapolis lakes offer the same great fishing in the winter months as they do in the warm seasons. 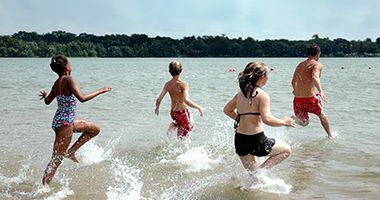 Cool off in the summer at Lake Nokomis' two beaches. 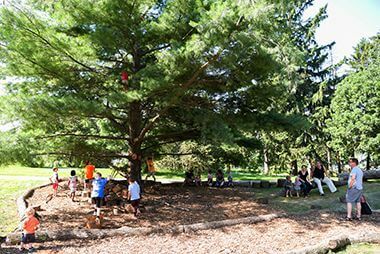 The park offers plenty of open space for play during the summer months. The playground features a natural play area. 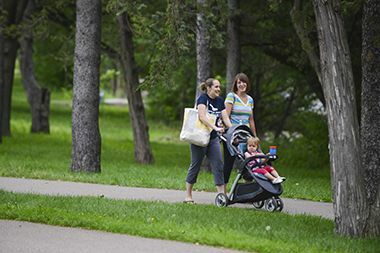 Whether you walk, run, or ride, trails around Lake Nokomis offer spectacular views all year long.